2 stages, 10 bands, 40 vendors, 1000's of people. performing "The Wall" and "Dark Side of the Moon"
This is the 11th season of Schwagstocks and the 16th year of The Schwag. Available at the gate during the event or in advance online. Plenty of tickets left. Please come and bring some friends. Camp Zoe is a 330 acre privately owned campground located in a valley of the Ozark Hills of southern central Missouri. Beaches, caves, bluffs, and swimmin' holes line the spring-fed stream that runs through the middle of the campground. Zoe is a former youth camp that is surrounded by 90,000 acres of private timber reserves and national park property. This is the 11th season of Schwagstocks and the 16th year of The Schwag. Camp Zoe has hosted fifteen Schwag events over the last three years with a cumulative attendance of over 75,000 people. There are five Schwag events in 2007. Schwagstock 29 in May of 2006 drew over 7000 people. The current capacity of the venue is 10,000 people. Zoe has a shower house with flush toilets, bathroom house with flush toilets, 73 porta-jons, on-site septic service, ATM, payphone, 500 trash cans, 3 trash dumpsters, 4 miles of gravel roads, private security, 2 stages, power for vendors, a concession stand, and lots of shaded camping. You park where you camp and camp where you park. All camping space is first come, first serve - no reservations. There will be food & beverages for sale on-site. There are no bar-b-que pits available but you can bring your own. Gates open on Thursday, May 24 at 10 a.m.- there will be an extra $5 charge per person for early arrivals. There will be some live entertainment on Thursday evening for early arrivals - the pre-party. Please leave your pets at home or in a kennel - dogs will NOT be allowed in - no exceptions. There is plenty of room for RV's and pop-up campers - no electric sites are available at this time. Available on Saturday and Sunday at 11 a.m., 12 p.m. and 1 p.m. The float is 11 miles on the Current River. You will float from "Pulltite" to "Round Spring". A school bus will come to Zoe and pick up and return the floaters. Costs are $42 per canoe and include transportation, paddles, canoe rental, and life vest. Float trips are provided by area float operators and have permits, insurance, busses, boats, experienced staff, etc... Reservations are NOT needed for canoes at Zoe. Just show up at the bus stop and pay the bus driver. 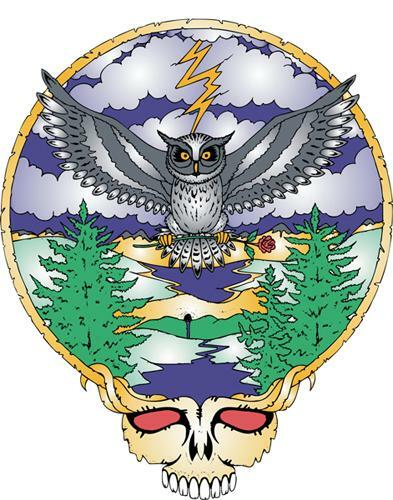 SUGGESTED ITEMS TO BRING: tent, sleeping bags and/or many blankets, flashlights and/or lanterns, lawn blanket or lawn chairs for during the show, swim wear, river shoes, inner-tubes, food and drink to consume, RAIN GEAR (just in case), sunscreen, portable radio, acoustic guitars, frisbees, hacky sacs, bicycles, etc. There will be a group drum circle after the show each night, so please bring hand drums, bongos, congas, djembes, and any other percussion instruments to join in - all are invited to participate. 44 west (100 miles) to a left on Hwy 72 east in Rolla at exit #186 (27 miles) to a right on Hwy 19 south in Salem, MO. It is the first left after crossing the "Sinking Creek" bridge 28 miles south of Salem, MO. 63 south (90 miles), to 72 east in Rolla (27 miles), to 19 south in Salem (28 miles). Zoe is located at the "Sinking Creek" bridge 28 miles south of Salem on Hwy. 19. 60 east (117 miles) to a left on Hwy 19 at Winona. Zoe is located at the Sinking Creek Bridge 26 miles north of Winona on Hwy 19. 70 east to 63 south in Columbia, MO. Then take 63 south to 72 east (at Rolla 1 1/2 miles from 44). Follow 72 into the town of Salem. Make a right on 19 south in Salem and go 28 miles and make the first left after the "Sinking Creek" bridge. 67 north for 60 miles to to 167 north (exit #55) for 70 miles. Then a right on US 62/US 412 for 10 miles to a left on 63 north for 20 miles. Then turn right on Hwy 19 north and go about 70 miles to a right into the campground entrance before or after the "Sinking Creek" bridge. 40 west to 55 north to 63 west (exit 23B). Follow 63 west (126 miles) and then take 19 north (68 miles). Make sure to follow all road signs to stay on Hwy 19. The main entrance to Zoe is just before the "Sinking Creek" bridge on Hwy. 19 about 70 miles north of the Missouri/Arkansas border. 51 south (26 miles) to 57 south (50 miles). 57 south will turn into 60 west in Missouri (around Sikeston). Follow 60 west (110 miles), to a right on Hwy 19 north at Winona (26 miles). Zoe is located at the Sinking Creek Bridge 26 miles north of Winona on Hwy 19. 44 east to 65 south in Springfield, MO. Then go 60 EAST (117 miles) to a left on Hwy 19 at Winona. Zoe is located at the Sinking Creek Bridge 26 miles north of Winona on Hwy 19. 46 east to 70 east. In St. Louis take 44 west (100 miles) to a left on Hwy 72 east in Rolla at exit #186 (27 miles) to a right on Hwy 19 south in Salem, MO. It is the first left after crossing the "Sinking Creek" bridge 28 miles south of Salem, MO. 35 south (174 miles), to I-435 south (10 miles), to 70 east (120 miles), to 63 south in Columbia (90 miles), to 72 east in Rolla (27 miles), to 19 south in Salem (28 miles). Zoe is located at the "Sinking Creek" bridge 28 miles south of Salem on Hwy. 19. 55 south to St. Louis (294 miles), then 44 west (100 miles) to a left on Hwy 72 east in Rolla at exit #186 (27 miles) to a right on Hwy 19 south in Salem, MO. It is the first left after crossing the "Sinking Creek" bridge 28 miles south of Salem, MO.